The lineup of participants and programming is set for Disney's second annual Women's Day on Broadway. The previously announced event, titled Women's Day on Broadway: Inspiring Changemakers, will be held on March 12 at the St. James Theatre, home of Frozen. Participants will include Mandy Gonzalez, Leslie Barrett, Adrienne Campbell-Holt, Kristin Caskey, Rosdely Ciprian, Graciela Daniele, Lear deBessonet, Jill Furman, Maria Manuela Goyanes, Susan Haskins, Christine Jones, Julia Jordan, Young Jean Lee, Anaïs Mitchell, Dominique Morisseau, Dessie Moynihan, Eva Price, Anne Quart, Theresa Rebeck, Ryann Redmond, Lauren Reid, Tara Rubin, Heidi Schreck, Leigh Silverman, Michele Steckler, Paula Wagner, Thursday Williams and Syndee Winters. Additionally, this year’s event will highlight some of the organizations that are leading the way for gender equality in the arts. Participating organizations will include The Actors Fund, BOLD, Girl Be Heard, The League of Professional Theatre Women, Maestra, Open Stages, PAAL, She NYC Arts, The Kilroys and The WP Theatre. After a welcome from Heidi Schreck and her What the Constitution Means to Me co-stars Rosdely Ciprian and Thursday Williams, the executive director and co-founder of The Lillys, Julia Jordan, will set the stage and present findings from the most recent studies of women in theater. Moderated by Maria Manuela Goyanes (Woolly Mammoth), the first panel, "Spotlighting Marquee Women," will gather the creative forces behind some of this season's shows to discuss how Broadway can learn from theater off-Broadway, regionally and beyond. Panelists will include Christine Jones (The Cher Show), Young Jean Lee (Straight White Men), Dominique Morisseau (Ain’t Too Proud) and Leigh Silverman (The Lifespan of a Fact). The next conversation, "Stage, Screens and Studios," will feature perspectives from women in film, TV, music and theater, and how we can apply new ideas to our industry. Susan Haskins (Theater Talk) will moderate, with panelists including Anaïs Mitchell (Hadestown), Theresa Rebeck (Bernhardt/Hamlet) and Paula Wagner (Pretty Woman). Michele Steckler (Fly Loft Group) will facilitate a conversation with Leslie Barrett (Serino Coyne), Adrienne Campbell-Holt (Hatef**k) and Mandy Gonzalez (Hamilton) designed to reflect the collected community responses to questions about what it takes to be a changemaker. Attendees are encouraged to join the discussion by completing a short questionnaire online. 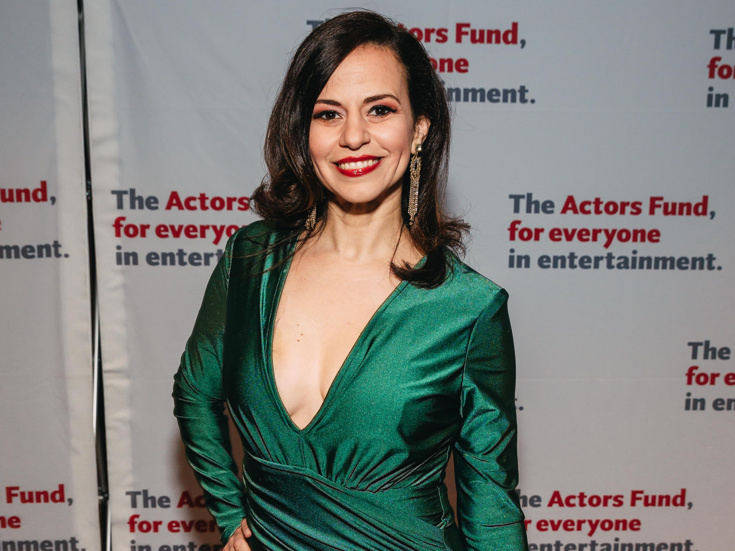 Lauren Reid (The John Gore Organization) will moderate the final panel, "Employing Change," featuring Kristin Caskey (Ambassador Theatre Group), Lear deBessonet (Hercules), Dessie Moynihan (The Shubert Organization) and Tara Rubin (Tara Rubin Casting). The discussion will invite influential leaders to address how we create greater opportunity and visibility for women in theater. To end the day, Anne Quart (Disney Theatrical Productions) will welcome groundbreaking director, choreographer and industry legend Graciela Daniele to share closing remarks. Disney on Broadway invites professionals of all genders and backgrounds working in entertainment and those interested in the topic to attend the event free of charge while tickets remain.